Christopher Taylor identifies the point we’ve reached in America’s relationship to its Constitution. And so we reach the point at which I’ve given up the idea of ever getting back to the constitution today. In fact, I’ve come to the realization that there’s no point in appealing to the document as any kind of governing and restraining document because the government and people have simply abandoned it except as a fetish. 4 Feedbacks on "Constitutional Jurisprudence in 2015"
The Supreme court is politicized it is no longer a court of law it is a court of political opinions. This was intentional with the goal being a virtual takeover of our country. A good example of this is the gay marriage ruling. I was sympathetic to the gay position on this issue many years ago when they wanted laws to change that would allow their “unions” to be recognized legally. This should have been up to the individual states and not the federal government. We all can be forgiven to think, to believe that what the gays wanted was some measure of equal treatment under the law. But to re-jiger what marriage is to accomodate alternative marriage was a mistake. And once that was done the true color (pun not intended) of the gay marriage agenda was exposed. The intent was to identify and punish anyone who failed to fall in line and adore gays and their acts. If you sell cakes you are now required to take part in their sham marriages and cannot voice an opinion on it. Fall out of line and they will destroy you. The right way to handle this is to restore the constitution and impeach justices who do not follow the constitution. Make our laws in the state house and congress not in the Supreme Court. Somehow we have lost the distinction between a court and an appellate court. In the former it is possible to reach a decision based on “justice” — that is, what a judge or jury decides is fair (whether or not it conforms to statutory or constitutional law). In the latter, “justice” is supposed to be irrelevant. The review is whether the lower court’s decision follows the provisions of the Constitution. That fact that 100% of the population thinks a decision is fair or desirable is totally irrelevant. That’s not the role of an appellate court. If the law as written is not paramount, the mob rules. Or five tyrants rule. 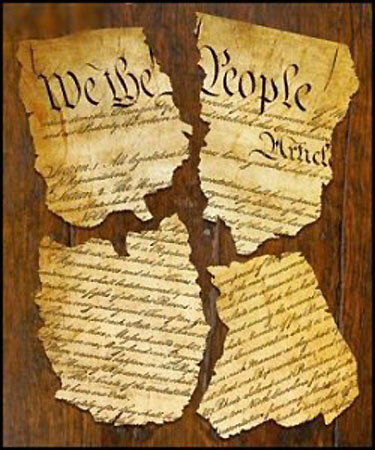 The Constitution has been a dead letter at least from the time that Marshall usurped the power to judge the constitutionality of laws. That power is not granted to the Court, and it is not part of the Common Law tradition. Moreover, the Court has always favored interpretations of the text that enhance its power and the power of the federal government. The Progressive movement was largely about centralization of power. Our current regime is illegitimate, lawless, aggressive and violent. It cannot be reformed. It can only be replaced. The ideal replacement would be the original Articles of Confederation. 5 to 10 acres in a defensible place with an off the grid water source. Greenhouse. Fractional precious metals in 5.56, .308, .40, .45, .22LR, etc. Some stock like chickens, a pig or two, beef on the hoof. Hunting skills. Stashed starches in enough quantity to live for at least two years. Heirloom seeds. Hard times are coming. Harder than most Americans can even imagine. Harder even than The Great Depression. Root, hog, or die, and the weakest go to the wall.